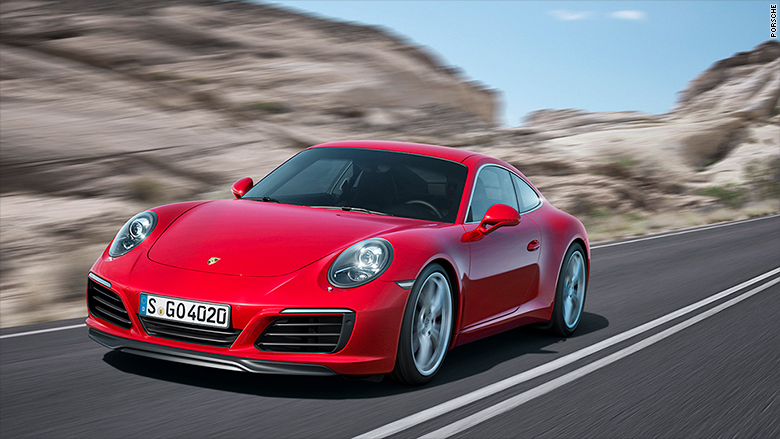 The newest 911 starts at $96,990. No other vehicles in this market segment scored above average so there are no second- or third-place winners. Porsche was named America's favorite car brand for the 12th straight year. That's according to JD Power's latest autos survey, which ranked the year's new car models based on feedback from American customers about design, comfort, power, reliability and safety. Perhaps more surprising is the fact that Volkswagen (VLKAY), Porsche's parent company, scored the highest average rating among mid-priced carmakers -- despite the emissions-cheating scandal that's plagued the automaker this year. JD Power also awards the top car, truck or SUV models across 25 categories. Models made by General Motor (GM) won six of those categories, more than any other carmaker, while Hyundai came in second with five wins. So what makes or breaks a car's appeal? Renee Stephens, JD Power's vice president of U.S. automotive quality, said an exterior design, good gas mileage and modern safety features are key factors. High-tech features -- such as automatic braking and blind spot monitoring in particular -- are beginning to define how customers feel about their cars, Stephens added. Notably absent from the rankings is Tesla, whose autopilot system is among the most comprehensive driver assistance technologies on the market. Stephens said JD Power did not include Tesla (TSLA) because it was unable to gather enough feedback from Tesla customers. All told, JD Power ranked 245 cars this year. Click through the gallery to see them all. The study is based on responses gathered from February through May 2016 from more than 80,000 purchasers and lessees of new 2016 model-year cars and light trucks who were surveyed after 90 days of ownership. This is the 21st year JD Power has conducted the APEAL survey.